Have a Citi credit card? Effective May 15, 2016, your card benefits will be getting a boost. Thanks to a change in benefits providers, Citi will soon be giving its cardmembers improved purchase protections, including increased warranty coverage, return protection and expanded Citi Price Rewind limits. Even better, these changes appear to apply to most Citi cards. Note that this 75,000 point promo matches the most points ever offered for the card, which was also available last July. Currently, the standard deal for the Citi ThankYou® Premier Card offers 50,000 points after you spend $3,000 in your first 3 months of cardmembership. Under this special offer, however, you can instead earn 60,000 ThankYou points–the most ever offered for this card–after spending $3,500 in your first 3 months. All other terms of the two offers appear to be the same. Notably, under both offers, the Premier card carries a $95 annual fee, which is waived for the first year. 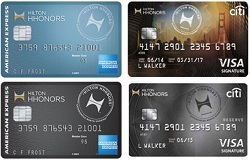 The card also earns 6 points per $1 spent on Hilton affiliated hotel stays, 3 points per $1 spent at supermarkets, drugstores and gas stations and 2 points per $1 spent on all other purchases, with no annual fee. For a limited time, Citi cardmembers can save $20 on an eligible purchase at NewEgg.com when they check-out with Citi Wallet and use promo code CITIWALLET. This offer is valid through July 12, 2015 or when 7,250 redemptions have occurred. Citi Wallet is Citi’s branded digital wallet, which allows members to simplify their online shopping experience. By enrolling in Citi Wallet, Citi cardmembers don’t have to enter their credit card, billing and shipping information when making purchases at thousands of participating merchants. Citi and AT&T announced a new co-branded credit card today that offers users the opportunity to earn a free smartphone. The new AT&T Access More card allows cardmembers to get a new smartphone immediately, or later on, and be reimbursed for the cost of the phone, up to $650. The new card also offers three ThankYou rewards points for each dollar spent at AT&T and on online purchases at retail and travel websites. Today, Citi rolled out a number of changes to the Citi ThankYou Premier Card, including an improved signup bonus, lower annual fee and changes to its rewards categories. On the whole, the changes represent a significant upgrade from the previous offer. As it earlier promised to do, Citi has now rolled out its free credit score program to cardmembers. Beginning this week, consumers with Citi-branded credit cards can log into their accounts online to view their free Experian credit scores. Unfortunately, consumers with Citi credit cards branded by other companies–such as Sears, Best Buy or Macy’s–are not part of the free credit score program. Citi is both the largest and the latest credit card issuer to provide a free credit score to its customers, joining Discover, Barclaycard, FNBO, Sallie Mae and Pentagon Federal Credit Union. For more ways to view your credit report and score for free, see this post.